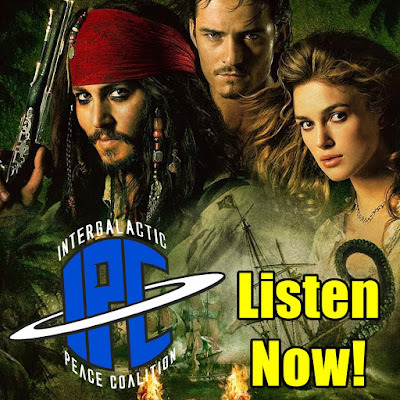 On this episode, Zac and Ben kick things off by celebrating the IPC Podcast's third anniversary by thanking the listeners and discuss their favorite episodes and moments from the past few years. A little later they are joined by Saje from Star Wars Wastelands to continue their Pirates Of The Caribbean Arc by breaking down "Dead Man's Chest". They touch on many elements of the film, including Davy Jones, cannibals, and a jar of dirt. Plus, they look forward to how the story continues in future films. Furthermore, Ben describes a deliciously shrimpy dish on #BBQWatch. Listen for all that and much more! Right Click And "Save Link As" To Download As MP3.